ISTANBUL, Turkey — Turkey on Thursday accused Israel of racism and becoming a state based on apartheid after a new law was adopted by the Israeli parliament defining the country as the nation-state of the Jewish people. 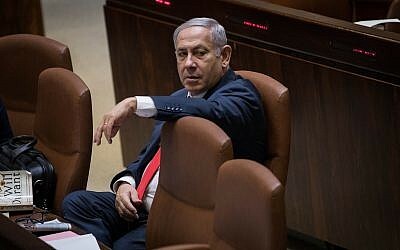 Early Thursday morning, the Knesset passed the law, which has been dubbed “the nation-state Law,” with 62 lawmakers voting in favor, 55 opposed, and two abstaining, after hours of heated debate in the Knesset chamber. “The fact that the law presents the right to auto-determination as a right that only applies to Jews is the product of a mentality that is outdated and discriminatory,” it said. The issue is the latest source of tension between Israel and Turkey. Ankara ordered out Israel’s ambassador in May over the killing of protestors along the border with the Gaza Strip. The strains have threatened a 2016 deal on normalizing ties following a 2010 Israeli naval raid on a Turkish flotilla trying to breach Israel’s blockade of the Hamas-controlled Gaza Strip. The raid, in which IDF commandos were attacked by activists on board, left 10 Turks dead and several soldiers wounded. Erdogan regards himself as a champion of the Palestinians and has twice held summits in recent months of Muslim states to denounce the recognition by the United States of Jerusalem as Israel’s capital. The European Union in a press briefing also expressed its concern and called for the rights of minorities to be respected. A spokeswoman said that the EU had previously voiced its concern at the bill, while stressing full respect for Israel’s sovereignty as a democratic country. “Democracy and equality, including when it comes to the rights of minorities, are key rights that define our societies and must to continue to be the basis also of the partnership that we have with Israel and we believe that they should be upheld,” she said.